Which is the right way for me to lose weight? Wanting to lose weight but not sure the best route to take? Tried all the fad diets with the usual short term success? There is another way. Keep reading to find out more! What do I mean by a way of eating? So, what’s the difference between a diet and a lifestyle change? Change the way you eat! So, what’s the right way to lose weight? Let’s begin by defining terminology. A diet comprises a temporary change in your eating habits to promote a certain outcome — usually weight loss — before returning to your previous (usually bad) eating habits. On the other hand, a way of eating is permanently changing the way you eat. But your current way of eating is likely the Standard American Diet (S.A.D.) and it’s not conducive to weight lose, health, or a long and happy life. S.A.D. consists mostly of high fat, high carb processed and packaged products, fast foods, and sugary soft drinks. Instead of the S.A.D. way of eating, let’s choose more wholesome, healthy, natural foods. Not a short-term diet, but a new way of eating. A way of eating is a change in lifestyle. Changing the way we eat is a major lifestyle change. Many of us have tried to make this change at least one time in our lives. And most of us know if it worked at all it was only for a short time. Yet, we have all heard of people who have successfully made this change. What makes them different from the rest of us? This would imply that the usual dieting regime is not the best way to go - either short or long-term. Yes, lots of people, and perhaps many reading this post, have succeeded at losing weight by dieting. We go on the latest fad diet to help us fit into the new swimsuit for summer or special event garb (wedding, graduation, prom, etc.). Unfortunately, for most people, the weight lost and more is quickly added back on after the diet is over. A lifestyle change is a process that take time and requires support. Once you’re ready to make a change, the difficult part is committing and following through. The reason lifestyle is so important is that how you live determines your choices and these choices decide how healthy you are and whether you're on the road to permanent weight loss. Diets don’t work! They just set you up to fail. ​They aren’t designed to be a lifelong way of eating. They are restrictive in both the numbers of calories consumed each day and types of foods that can be eating. So, if dieting to lose weight permanently isn’t effective, what other option is there? 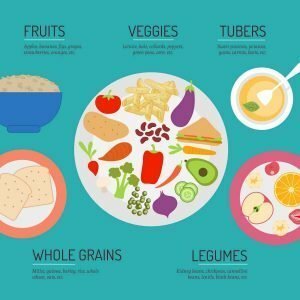 There are several ways of eating that are healthy, sustainable, enjoyable, and, for most people, result in substantial weight loss. And you’re right, because the word diet originally meant “way of eating”. 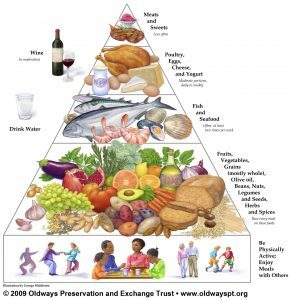 Both the Mediterranean-Style Diet and the Whole Food, Plant-Based diet are designed to be a change in the way a person eats for a lifetime - a lifestyle change. While these two ways of eating are slightly different (for instance, one includes small amounts of meat and the other does not), they both share one thing in common - they can both result in a healthier life with massive reductions in the top 10 causes of death in American! Is it Diet or Lifestyle Change? In my opinion, and based on my success and the success of many of my clients, I think you can see I’m a big proponent of lifestyle change to a way of eating. I hope you’ll do your own research into these ways of eating and choose to leave the S.A.D behind. (Don’t ya just love that acronym? It pretty much says it all). Just think, no more dieting. No more frustration. Just healthy living while enjoying a very healthy way of eating. Which way of eating will you choose? Will it be the Mediterranean-Style Diet or will you choose the Whole Food, Plant-Based diet? Either way you go, making a dietary lifestyle change like these may well change your life forever - a lifestyle change. In a future post, I’ll tell you how a Mediterranean style of eating saved my life. Take control of your lifestyle! Learn 11 simple steps to supercharge your lifestyle. Gary is co-founder of Blue Coral Coaching Solutions. 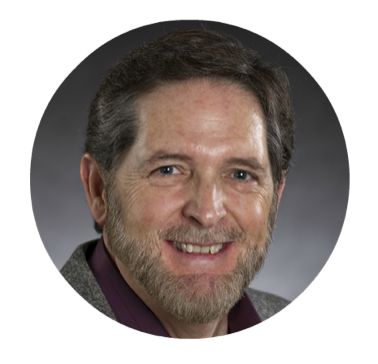 He is a Health Psychologist, Lifestyle Change Coach, and Diabetes Prevention Educator. As a master health and transformational lifestyle expert, world traveler, and public educator, Gary uses his unique combination of training and skills to work with individuals and groups to take their lives to the next level of optimal health and healing, while living the life of their dreams.